I know, I am a bit late with the Friday post. I could say I have reasons but those really don’t matter. The thing is, it is coming now. Or maybe, I will get into the reasons a bit because that leads up to what we have here. Anyway, I have stumbled and restarted this post several times and haven’t quite gotten it to where I want it to be. Basically, I am pretty close to the subject matter so it becomes difficult to figure out how much I should let out and how much I should keep close. I mean seriously, if you aren’t a major geek quite a bit of what I could be saying here wouldn’t really matter to you. And that isn’t what I am trying to accomplish with this bit of thought. First, I have been a geek and a gamer for a long time. I dare say that this is something that has been a part of my life for pretty much most of my life. I really like games. And for people that might not understand this, there is a difference from playing games and being a gamer. Contrary to what some might say for anything with fan connotations it isn’t something that can be quantified with going to cons (that is just elitist). It is an identification thing. You reach a point in your life when you realize that taking away things like movies (science fiction and fantasy), reading materials (comics, books, magazines), and games (there is a huge list) and the gamer becomes something less than what they were. And yes, gamers and fans of the genre that most games fall in are equally interchangeable for the people that have been doing this as long (and longer) than I have. Many of us grew up in a time when to admit that you read science fiction and fantasy books, comics, or played role playing games meant that you were most likely a social degenerate that still lived in your parent’s basement. It was all a social conditioning thing that pushed the mainstream away from the things that were different. And yep… here I am again in the same sticking point that I have hit every time I have approached this. Here’s the thing, all the things that I was ostracized for growing up, are now becoming popular. Computers have become a mainstay in our homes. We have super hero movies that blow away the movies that have come before them. And there is a growing gaming industry that is beyond a young geeks wildest imaginings. Because of the wildly successful games like Magic the Gathering, we have seen a rise of other table top games that fit into a geeky milieu. (mind you this all goes back even further to the basement dwellers that played Dungeons and Dragons, that is the birth of it all for all the modern games). With these new games it becomes a question of who you can find that is adventurous enough to explore them with you. And this is back to some of the older stigma. Even though gaming has been around since the ‘70s and board games have been around for so much longer than that, there are people that still cling to the old beliefs. But this is changing (slow at times but still). One of the things that has come about is days like International Table Top day (started through the success of Wil Wheaton’s show Table Top on Youtube). 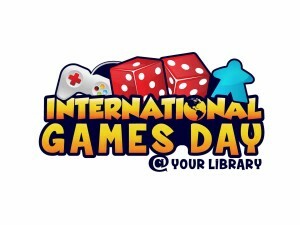 But another one is International Games Day, endorsed by your local library. These are part of the movement that is intent on bringing people together again, at the gaming table. But it is through this that I have been able to bring something to my local library. I have gotten a couple hours a month (on a Saturday every month) where patrons and beyond are invited to come in and explore some of the new games that have popped up. Yeah, I am bringing in the games that I have collected and sharing them with people that might never have known what a game outside of a computer could be like. And yes, I make it sound like I am altruistic and what not but really it is the old geek in me that is just looking for people to game with. But that is the thing really, games are a social enterprise. Even computer games (especially online) are part of that social construct. Mind you, with computer games you don’t always have the satisfaction of seeing your friends faces as you bury them in dust with your killer dice rolling. But that is a whole different story. Friends enjoying the crazy of Cthulhu Fluxx at the library. Who knew you could do such things. 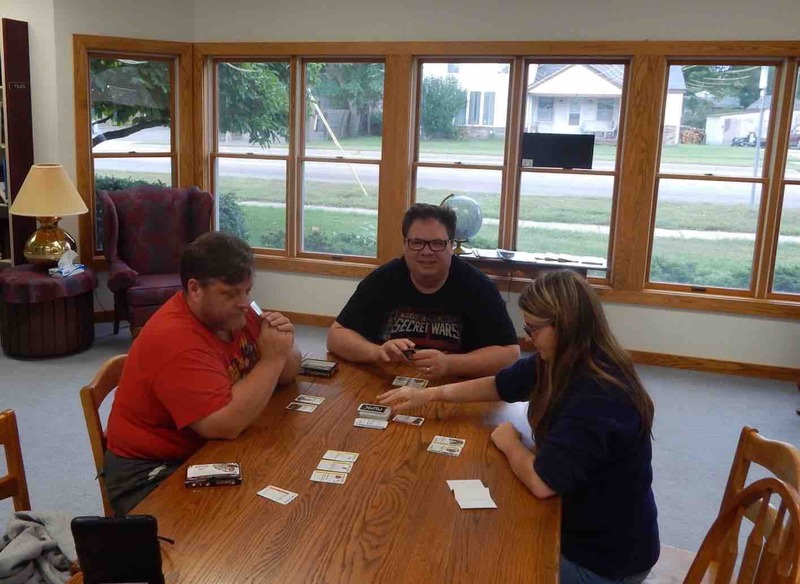 Seems strange, but I just took a longer road to say that I have started a gaming group at my local library. I probably could have opened with that and saved you a whole mess of inner dialogue, but then what would be the fun in that. I guess the real importance of anything you might have read today is this… Play more games. You just may find there is a bit of the geek in you that you never expected. 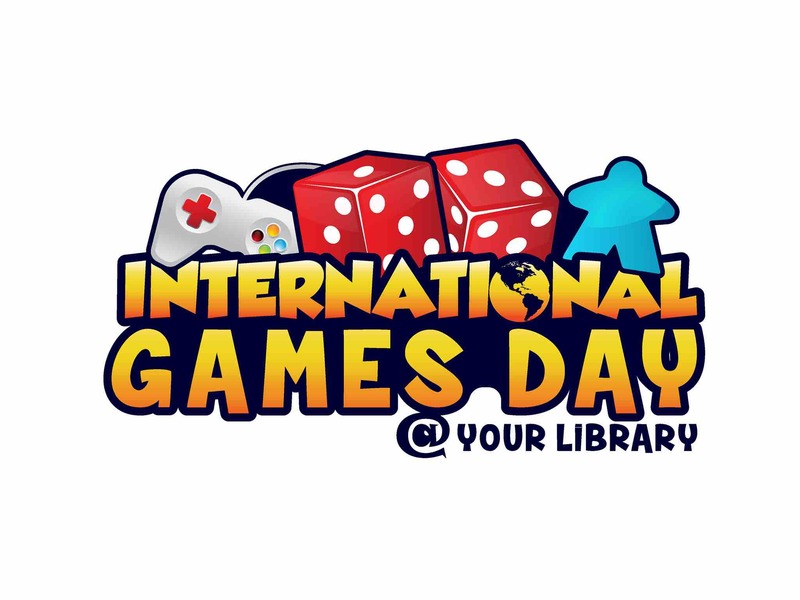 And a parting thought, Games Day at your library is coming up in November. It is meant to happen somewhere around the 15th. At my library we are celebrating on the 14th and other places will be celebrating around the 21st. No matter what day you play on the only important thing to keep in mind is that you have fun. And play some games! 2 Responses to "Gaming at the Library"
Hooray for starting a gaming group. I’m definitely not a gamer, but I have used Meet-Up for years not to find groups of people who come together for common interests. I recently joined two hiking clubs and am looking forward to getting to some places I otherwise would not venture to. I have done bulletin boards and such in the past. This is a whole new experience for me and has some added benefits of exposing the joy of gaming to kids who might never have experienced it before.